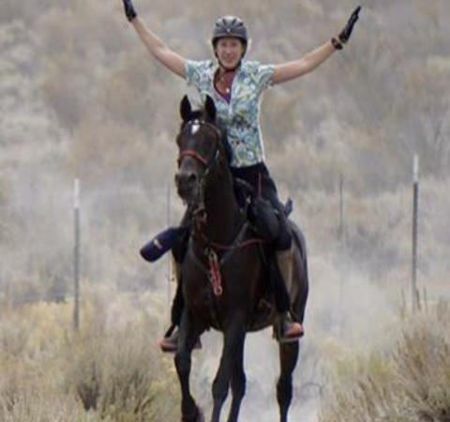 The intent of the PNER Awards Program is to recognize and celebrate endurance achievements requiring significant effort by both rider and horse while encouraging the humane treatment of equine participants and supporting their longevity in the sport. Additionally, we strive to foster a culture of inclusion and community for PNER members. With these goals in mind, awards provided through PNER and award sponsors have a rich history, diversity and uniqueness. The organization offers a variety of awards – some of which are based upon the number of miles ridden or rides completed. Winning one of these awards may not require extensive speed, but often requires durability. Other awards are based upon points – the number of miles ridden may be fewer, but points are accumulated through winning, top-10 placings and best condition finishes – often requiring a significantly faster pace. 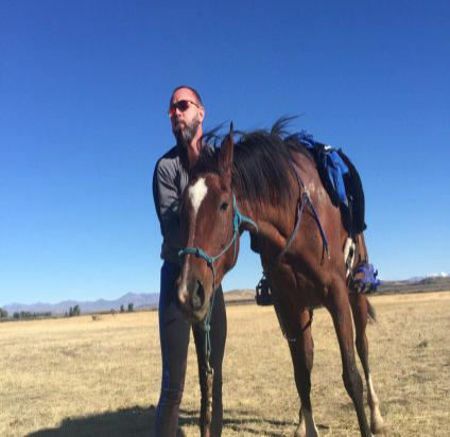 Regardless of the type of award offered, riders are strongly encouraged to carefully prepare their horse for the challenge they’re striving to achieve. Awards are also designed to recognize a variety of riders – whether young or old, experienced or novice, awards are available to different types of members with different types of goals – so get inspired, take time to understand what’s available, and RIDE! 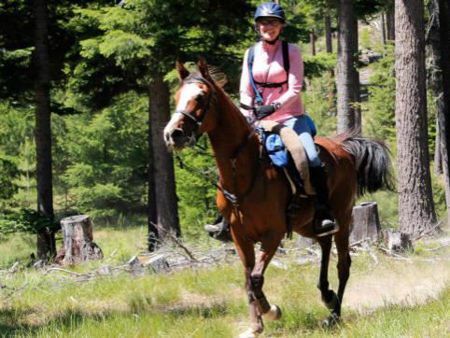 Awards are available to members of Pacific Northwest Endurance Rides, Inc. (PNER) and horses ridden by PNER members. PNER membership is required and is not retroactive. Events ridden prior to the processing of an individual’s membership are not counted toward PNER awards in the applicable ride season. The awards cycle covers the PNER ride season (January 1 through December 31 annually). Rides sanctioned through organizations recognized by PNER and located in the PNER region are considered in award determination, unless otherwise specified in the award description. Unless otherwise specified in the award description, a minimum of three sanctioned events or 150 or more miles during the applicable PNER ride season must be successfully completed by the rider, horse, rider and horse team, or group of riders (e.g., family, couple, team). This requirement applies to the distances covered by the specific award. For example, if the award description specifies only endurance distances are recognized for the award and the individual completed one 100-mile event and one 50-mile event, then the award recipient would have met the requirement by having completed 150 endurance miles although not having completed three endurance events. If the requirement is not met, the award or full complement of placings will not be presented. Individual award descriptions cover whether the minimum completion requirement applies. Some awards require enrollment or nomination. Members must submit requested materials to the Awards Coordinator or appropriate individual on or before the applicable due date. Failure to do so by the submittal deadline will result in the individual being ineligible to receive the award. For award eligibility purposes, rider age is determined as of January 1 of each year and covers the full PNER ride season. Age classifications for award recognition purposes are defined below and in some cases, a rider may qualify for multiple categories (e.g., a Senior Rider could also qualify for Golden Years or a Senior Rider could qualify as a Young Rider). Junior Rider – A rider under age 16. Young Rider – A rider age 16 to 21 (not yet age 22).  Senior Rider – A rider age 16 or older. Golden Years – A rider age 65 and older. Recognized PNER rides and distance categories. 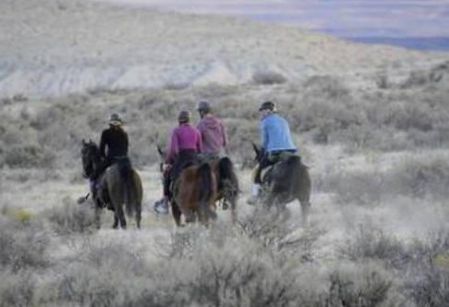 Ride sanctioning organizations recognized by PNER include the American Endurance Ride Conference (AERC), Equestrian Canada administered through Endurance Riders Association of British Columbia (ERABC), and Equine Distance Riding Association (EDRA). Rides must be held in the geographical footprint of the PNER region unless otherwise noted in the award description. Additionally, PNER defines an endurance ride as a sanctioned event 50-miles or longer. A limited distance ride is a sanctioned event that is a minimum of 20 miles, but less than 50 miles. Some awards require an enrollment or nomination submittal. Several awards require the PNER member to submit an enrollment or nomination form and/or other materials to be considered eligible for the award. Typically, these submittals are required to perform historical research relative to eligibility and/or may be needed for qualitative evaluation. When required, due dates for nominations, are provided in the award descriptions and nomination forms will be made available to members online at pner.net/page3306/Nomination%20Forms.